Senior City sources said the deal - which has been under negotiation for more than a year - could be concluded in the next few days. It will see Tata Steel's UK plants merged into a pan-European venture with annual sales of about £13bn. These include the politically sensitive Port Talbot works in Wales. Talks have been held up while the future of Tata Steel's enormous pension scheme - which includes the former British Steel retirement plan - was decided. Three months ago, the pensions regulator approved the creation of a new pension fund after Tata agreed to a £550m top-up. More recently, ThyssenKrupp has faced pressure from shareholders to secure better terms from Tata. Elliott Management, the aggressive New York hedge fund that has emerged as a key player in big European takeover battles, recently wrote to Thyssen's board saying that Tata's recent financial results did not warrant it receiving a half-share in the combined business. The deal marks another change of ownership for Britain's steel industry, which once led the world, but has shrunk rapidly in the face of cheaper international competition. Most of the industry was nationalised after World War Two, then re-privatised in 1988 as the British Steel Corporation. It became Corus after a merger with a Dutch rival, Koninklijke Hoogovens, in 1999, and was bought by India's Tata Steel in 2006. 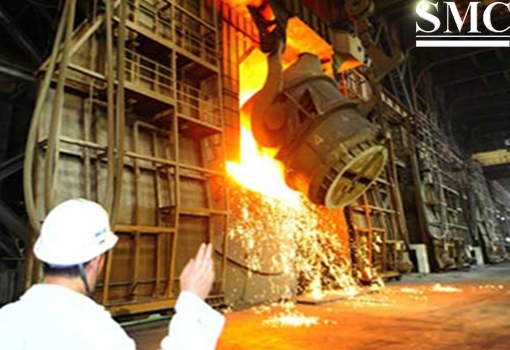 The British Steel name was revived two years ago, when investment fund Greybull Capital bought Tata Steel's Scunthorpe-based long-products division. Tata and ThyssenKrupp have both said they are committed to the Port Talbot plant, which is Britain's largest remaining steel plant. But steel industry experts said there remained question marks over the site's long-term future.